What is the cognitive process profile (CPP)? The world of work is becoming more chaotic, uncertain, and complex. Simply coping with this reality is not enough – organisational success depends on the capacity of leaders to thrive under these conditions. The CPP tracks a person’s thought processes in ambiguous, uncertain and unfamiliar environments and provides an indication of preferences, capability and potential. Why do we use CPP? The shift from technical and supervisory management to strategic organisational leadership is a big one. 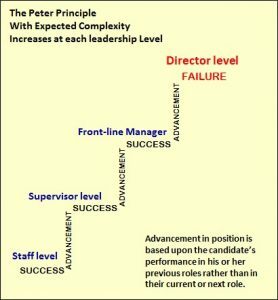 Many executives fail to successfully adapt to their new strategic role, simply operating as some kind of super-manager. To fix this, a significant amount of the coaching work we do is to ensure that senior managers are just as confident and capable within their new roles as the old ones in which they excelled. What does the CPP Measure? What are the benefits of CPP? CPP helps individuals build self-awareness and improve their leadership performance at work. It’s principally used as part of an executive development programme or coaching assignment. The CPP is a psychological assessment developed by Dr S M Prinsloo, founder of Cognadev, and used under licence by Quest in the UK.